When looking into casino gaming online, you can’t miss the subject of bonuses. Usually known as welcome bonuses, sign-up bonuses or new player bonuses, these are promotional techniques used to gain customers. Every time you check out new casino sites, you’ll be bombarded with welcome bonuses in various formats. This is not a bad thing! Welcome bonuses are a way to get a lot of extra cash to play with. They tend to follow a certain formula (though some sites try new things) and don’t take too much research to understand. Remember that these sites need customers, so why not benefit more from giving them your time and money? Let them pay you to play! Some veteran players even make a regular habit of switching to new sites, to make the most of these bonus amounts. The majority of online casino bonuses follow a certain structure. They will usually involve you making a deposit, then getting that deposit matched by the casino. Let’s look at the most standard format, which is a 100% match. The percentage simply refers to how much of your deposit is matched. 100% is therefore all of your deposit, so if you deposit AU$10, the site will match it completely and give you AU$10 extra. Simple as that, you have AU$20 to use! This amount is usually capped, which will be explained on each site. Sometimes they will only give AU$100 free, while others will give massive amounts like AU$5000 free! Of course, this means that you need to have AU$5000 of your own money to put in, or more. This kind of bonus has other variables. Firstly, the match percentage changes. A 50% match only covers half your deposit, so an AU$10 deposit would get you AU$5 free. Secondly, the bonuses tend to be spread over several deposits, so you might need to deposit three or four separate times to get the maximum amount. Most casino sites offer a bonus which applies to all their games. However, now and then a site will offer something specific to pokies. For example, Casino-Mate offers 30 free spins. Royal Vegas Casino goes even further with 120 free spins! To put it another way, this kind of offer is specific to pokies because those spins cannot be used on any other games. When you claim this kind of bonus, it will usually be part of a more standard welcome bonus. For example, you might have to claim a deposit match before getting the free spins. Few casinos offer free spins without any other commitment, but it does happen if you shop around. The free spins are quite simply free bets on pokies; free spins of the reels. They might be termed as free bets or free credits. These are great for getting a taste of a slot, which you can do in demo play, but with the added bonus of possibly winning cash. Few sites offer bonuses that are specific to table games, but some searching will uncover some. For example, they may offer a deposit match that relies on a table game related code. You should also check the terms and conditions as a site could possibly offer a larger welcome bonus so long as you play table games specifically with the money. This is part of a wagering requirement, which means that you must play your deposit and the bonus cash before you can withdraw from a site. This is a standard part of welcome bonus terms and you should look into it before playing, as it can vary. This is done to prevent a player simply leaving with bonus money. Some games only contribute partially to wagering requirements. Roulette is often one of these, because it’s so easy to put safe bets on both red and black to play through your deposit without much risk. Free cash bonuses are the main standard of online casino welcome bonuses. These refer to the practise of getting free cash on top of your deposit, but also may refer to a select few sites which offer bonus cash on top of that. The standard cash match is often referred to as free cash, so you must be careful and check terms when signing up. Remember that while the cash is free after a fashion, you still need to meet wagering requirements, so you can play it on the casino for free but cannot simply take it. Certain sites do offer free cash however, as an extension of the usual deposit match welcome bonus. This will often be a small amount like AU$10 which is added on top of the deposit match after you claim it. This extra will not be considered part of the bonus, so you don’t have to meet a wager requirement on it- you just play! When a site offers this bonus, it will usually make it very clear. These kind of bonuses are often the same as those offered as pokie exclusives. Free spins naturally can only be used on pokie games, as they refer to spinning the reels. Free play is more ambiguous. This will often apply to pokies too, but can also refer to any game on site, in much the same manner as a free cash bonus. You might also see it listed as a free credits bonus. You can check sites for these kind of bonuses simply by looking at the home page, or failing that, the promotions section. Almost all online casinos feature a promotions page, often linked along the top tabs or at the very bottom. Terms vary a lot, so your chosen site will tell you if they offer free play for multiple games. Certain sites generously have repeat promotions like this, meaning that you can get free play every week or month, not just as a new member. Something that you should keep an eye out for online is exclusive bonus offers. What makes these bonuses exclusive is that you can only find them in one place. There are a lot of standard bonuses which follow a given template, such as deposit matching, but with a little research you can find exclusives. Look at a few sites before signing up and you may be surprised. Exclusive bonuses might often be modifications of deposit bonuses. Sites with a theme of luxury and high end gaming tend to do this, with extravagant welcome bonuses that are hard to match anywhere else. They might be high in total amounts like Mansion Casino’s AU$5000, or they might have an exclusively generous match percentage like Gaming Club Casino’s 150% in second deposit, which means you get more than you put in. Further exclusives tend to refer to VIP bonuses, which of course are not available to just everyone, being a reward for long term investment in a site. These tend to feature better conditions and higher amounts, with extras like free spins. Fortunately, many mobile casinos offer the same great welcome bonuses to new customers as they do to those joining on a computer. Often this is because they see mobile as just another kind of browser. However, this is not always the case. Mobile play is a growing new field for online casinos, which themselves are pretty new and still attracting players. This means that you may get extra offers via a casino’s mobile site, or they might only be able to offer certain things to mobile players due to advertising restrictions. The majority of mobile players go for the pokies. They display much more neatly on a small screen, being just a horizontal display of reels, compared to table games which require amounts of readable text, clear card faces and fine manipulation of chips and cards. The result of this trend is that mobile casinos err towards pokie offers, such as free spins. Free spins not only attract pokie players who like to try new games before spending cash, but also gives players a chance to see how well games will play on their device. After all, even with advances in technology, some handsets struggle with graphics. Live dealer games tend to be treated as a separate section on most casino sites, as they represent quite an unusual style of play. Not quite being virtual table games, they fall into their own unique category and therefore also attract slightly different kinds of player. This means that you will sometimes find websites that offer special bonuses to live dealer players. These bonuses will usually take the form of cash matches. They may be the same as those offered to all customers, or specially tailored bonuses to attract new people to the cutting edge. Bonus amounts tend to have large upper limits as live dealer games appeal to traditional casino fans, which in turn are aimed at high stakes play. 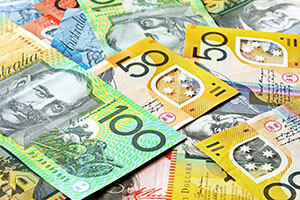 Aussie casinos tend towards large amounts, giving you plenty of cash to try out the live Roulette, Blackjack and more. Let’s take a more detailed look at wagering requirements, which are at the heart of most welcome bonus mechanics. This is important as some new players of online casinos get caught out, not realising the full extent of the offers they claim. When you take a welcome bonus, there will almost always be a wagering requirement. This is essentially to hedge the casino’s bets. Otherwise, they could never give away huge amounts like AU$1600 for free. The basic system is that bonus money must be wagered, or played through, before you can withdraw. In other words, you deposit cash, then get bonus cash, but you cannot just withdraw that cash and run. Instead you must meet your wager requirement, then withdrawing is unlocked. Wager requirements are not sinister, however; they usually just expect you to spend the money you’ve deposited. The amount of a wager requirement can be higher, however. Usually this is in response to very high cash offers, which must be balanced against a requirement from the player. When the requirement is high, you can either deposit more to meet it, or play your winnings. If you don’t win anything, then you wouldn’t be able to withdraw anyway, so really this is no loss. It’s just to ensure that your free money is used in exploring the site, after which your winnings are your own. Note that sometimes, a wager requirement will seem low because not all games on the site are counted towards it when you play. Please check the terms of any welcome bonus carefully before you accept it, to avoid disappointment.